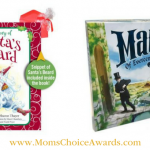 This week’s Roundup of Mom’s Choice Award winners features TWO weeks of winners! There’s tons of children’s books, personal use products and more! Be sure to scroll through the entire list so you don’t miss any of our new award-winners! 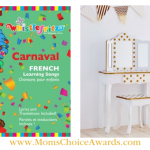 All the items you see below won a Mom’s Choice Award during March 24, 2019 to April 6, 2019. Totsbiotics™ is our trademarked exclusive arcanum proprietary blend of living, healthy, unique broad-spectrum probiotic’s. Unlike any dangerous toxic chemical cleaners Totsbiotics™ is proven more effective and is 100% non-toxic and safe, continuing to work on surfaces long after it is applied controlling and guarding you from sources of contamination, odor, dangerous pathogens, as well as unhealthy surface and air-born bacteria. Totsbiotics™ creates a layer of beneficial broad-spectrum probiotic’s continuing to work for up to “3” days. Totsbiotics™ controls surface biofilm, clearing the breeding ground for infection that is driven by unhealthy bacteria. Totsbiotics™ broad-spectrum probiotics are Hospital and University tested and approved for Certified Organic use. Totsbiotics™ cleans and protects effectively and is baby safe, child safe, food safe and life safe. Breathe easier because you are “PROTECTING WHAT YOU LOVE MOST”! The Buttery Inn is famous for its fancy art, cozy beds, and especially Gertie Buzzard’s home cooking. She uses her family’s secret butter recipe to create meaty entrees that carnivores love. However, when the King and Queen of Southerby Gardens who are not carnivores decide to visit, Gertie Buzzard and her grandson, Binky Buzzard, must quickly reinvent the Inn. But what will Gertie Buzzard serve their special guests? 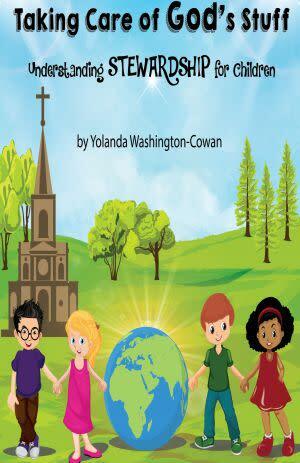 ‘Understanding Stewardship for Children’ is a book that will enlighten your children on how they can be good and obedient stewards over the blessings of God upon their lives. This book will teach them what they are supposed to take care of and how to care of their gifts, talents, abilities, the resources at their disposal, their time, money, their families, friends, neighbors, schoolmates, and so much more. Because God trusts them well enough and he has placed them in charge of everything he has made. 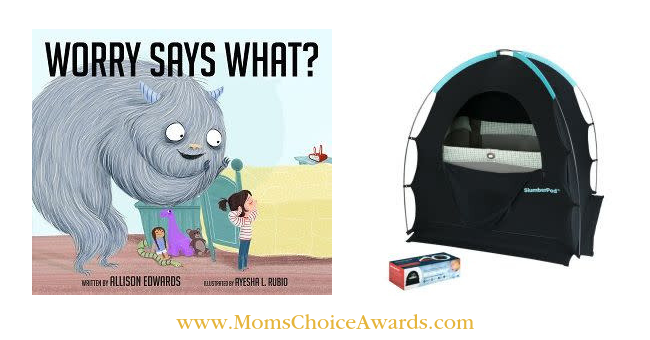 Most parents have been there … you’re away from home at naptime or for an overnight stay with your baby, toddler or small child, and the room-sharing situation is anything but restful. SlumberPod is a portable (fits in carry-on luggage! 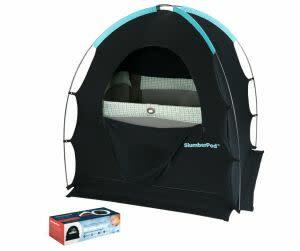 ), patent-pending solution that provides a dark, private sleeping environment for your baby. Invented by a mother-daughter team and designed with your child’s safety in mind, SlumberPod is compatible with standard playards and mini-cribs as well as select toddler cots — blocking light and other distractions so your little one can sleep peacefully (and you can too!). 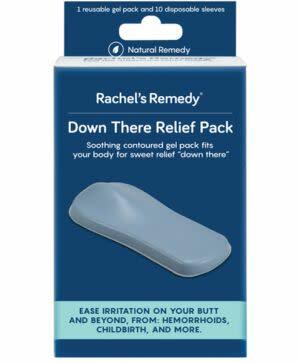 The Rachel’s Remedy Down There Relief Pack relieves and soothes pain and discomfort from hemorrhoids, childbirth, postpartum pain, episiotomies, and any other pain associated with the perineum. It is a patented, specially contoured gel pack that fits those hard to reach places. The special design is contoured for optimal fit and relief. Our Down There Relief Pack can be used hot or cold, and is reusable and washable. It comes with disposable sleeves. It is a lifesaver for new moms where nothing existed to treat these common and painful issues before. Sensory-driven features encourage together time between mommy and little one. Stylish, colorful activity-format scarves promote exploration of a variety of textures, visual cues and sounds to stimulate a child’s development. 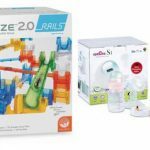 Includes built in rattle, squeak toy, BPA-free and Phthalate-free teething ring, pocket and various textures provides sensory experiences to promote happy and engaged babies. Unique and lightweight scarf design hangs around mom’s neck while keeping baby happy and entertained. 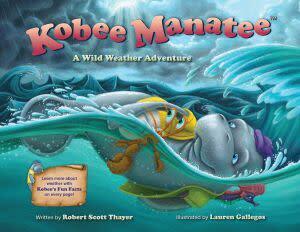 Kobee Manatee wants to surprise his sister Kim, who lives in the Bahamas, on her birthday. But it won’t be easy to get there from Key West, Florida. Kobee must swim across the mighty Atlantic Ocean and into the strong Gulf Stream current. Not only that, it’s hurricane season! Can Kobee and his friends, Tess the seahorse and Pablo the hermit crab, travel safely through all of the wild tropical weather coming their way? Each page includes in-depth, scientific details titled “Kobee’s Fun Facts,” which expand on the weather events the characters encounter along the way. 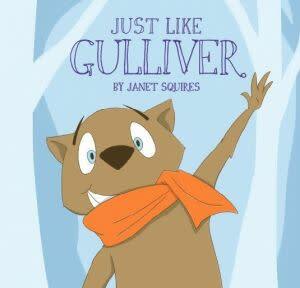 An author’s note provides factual information about Groundhogs. Elvie Pump is the world’s first silent wearable breast pump. Elvie Pump is a complete departure from existing pump technology, putting women at the center of the design process to create an entirely new pumping experience that offers more freedom and mobility. The truly hands-free pump gives women the flexibility to go about their daily routine while pumping, without worrying about cords, wardrobe changes or the undignified sound of traditional electric breast pumps. Elvie’s differentiated technology means the pump is silent. Worn under clothing, Elvie Pump offers unprecedented discretion when pumping, soundlessly collecting milk in the self-contained pump. Elvie Pump connects to a free smartphone app, allowing women to view real-time milk volume and track their pumping history for each breast. Meet Elliott–a spirited little colt with a lot to say about his excitement for life! Through actual photographs, colorful illustrations, and clever rhyme, we quickly learn that Elliott has a lot in common with young children. They all love to play! Elliott’s Tailsis educational and entertaining for kids of all ages. Caution: You may quickly fall in love with Elliott and want to raise a baby horse of your own! Multiple game play variations add to this game’s accessibility to wide variety of ages and unusually high replay value. Easy to understand rules get players engaged very quickly and before they know it they are making calculations and choices that make them fluent in the most difficult to learn addition and multiplication facts, U.S. state geography, and the mechanics of the Electoral College. A one of a kind classic for every American home! 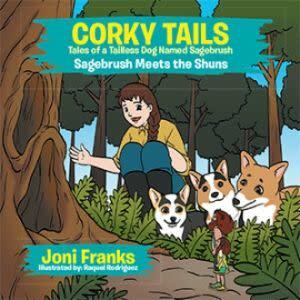 Corky Tails, Tales of a Tailless Dog Named Sagebrush is a multiple award winning series of children’s books that teach life lessons based on kindness and love. Each storybook address a timely human theme where problems are solved and lessons learned with a moral message. The first book addresses the issue of labeling and bullying when the little ranch dog known as Sagebrush is born without a tail. Bullied by her dog peers Sagebrush is told that she will never be a real ranch dog because of what she doesn’t have. With the help of the kind young ranch woman, Sagebrush learns love, value and worth and beomes a real ranch dog when she learns to herd cattle. Follow all the adventures of Sagebrush, the tailles puppy in these charming , unforgetable tales! Children 6 and younger are at the greatest risk for catching a cold; and, at any time of the year – as a cold can be caught in all four seasons. 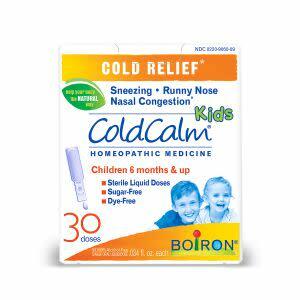 Now, at the first sign of congestion or nasal discharge in kids and babies 6 months or older, parents can help their youngster with ColdCalm® Kids Single Unit Doses: non-drowsy homeopathic medicine; no known drug interactions. The sterile, single-use liquid dose vials prevent contamination and eliminates the need for a preservative. Easy-to-use: twist to open the single-use liquid dose and squeeze contents into your child’s mouth. The clear and tasteless liquid does not contain flavors, dyes, lactose, sugar or artificial sweeteners. When your little ones are sick and fussy with a cold, help is a simple a squeeze away. 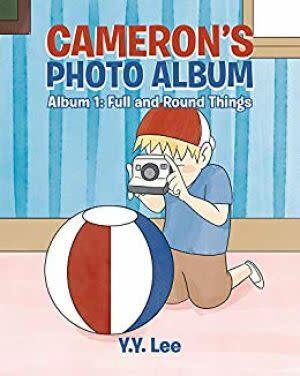 Cameron’s Photo Album Series – Stories about a little boy creating photo albums full of the little things in life. 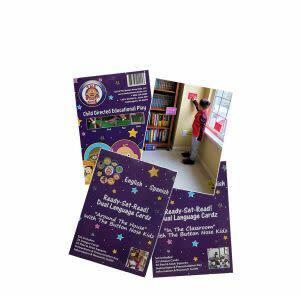 Peel and stick adhesive squares as shown on the package, match and attach Cardz where child(ren) can easily see them. “Around The House” and “In The Classroom” starter sets include 25 Cardz typically found in a home or a classroom along with 52 double-sided adhesive squares and insert with instructions & research on 1 side and simple phonics pronunciation key on the other. I honestly would’ve never knew about some of these items! Time for a splurge! Excited to get a lot of these items. 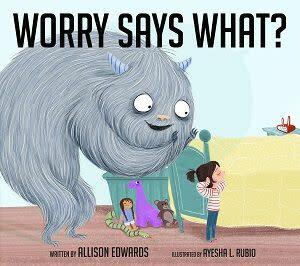 Especially the Worry book. I love that pump especially because it’s silent. I’m always looking for new books for my four year old son, these recommendations look great, thank you!